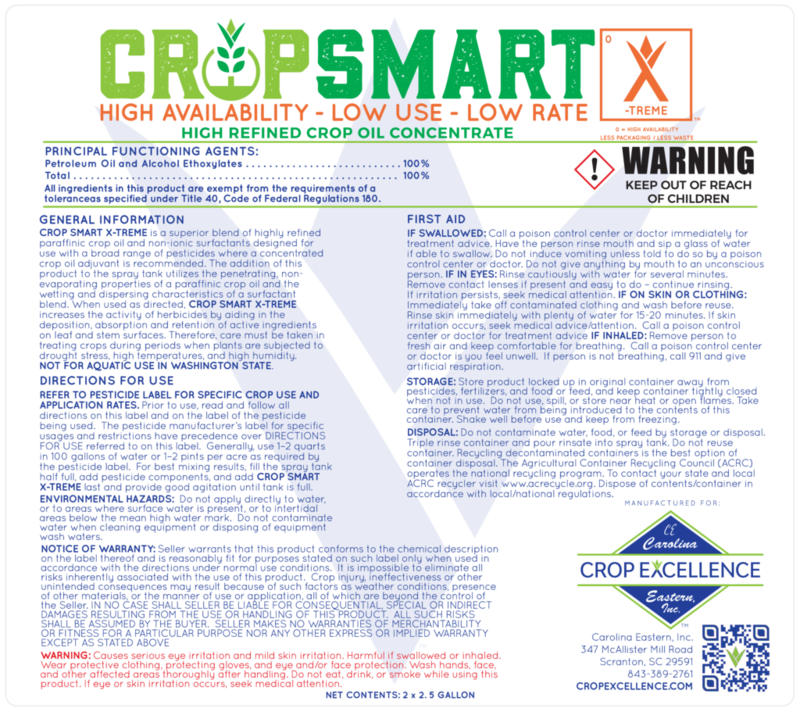 CROP SMART X-TREME® i is a highly concentrated non-ionic blend of highly refined paraffinic crop oil and surfactants designed to optimize the performance of certain herbicides in post emergence applications. 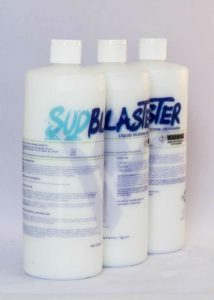 This combination utilizes the penetrating, non-evaporating properties of a paraffinic crop oil and the wetting and dispersing characteristics of a surfactant blend at a lower use rate. 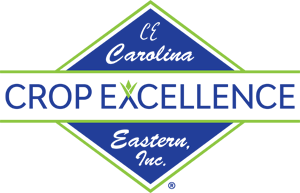 The lower rate means less material to add, inventory, and ship to perform the same job. 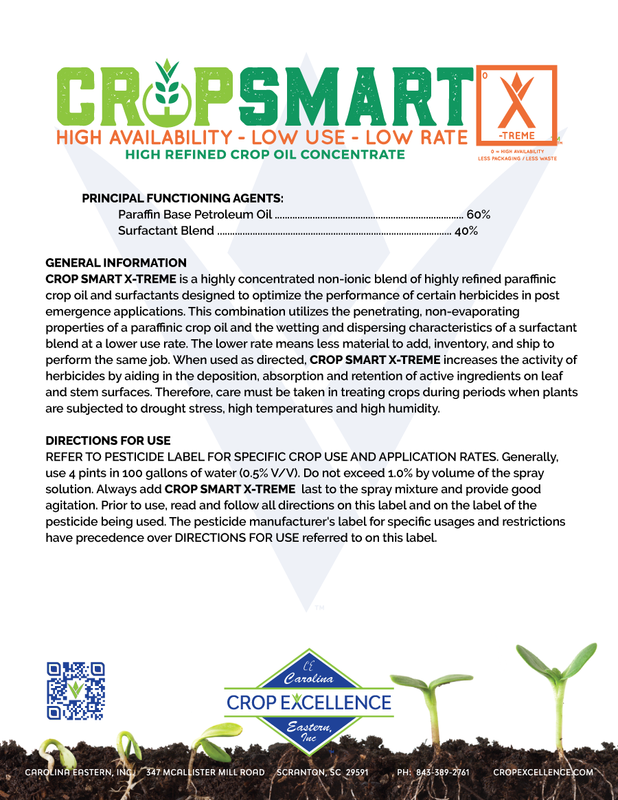 When used as directed, CROP SMART X-TREME® increases the activity of herbicides by aiding in the deposition, absorption and retention of active ingredients on leaf and stem surfaces. 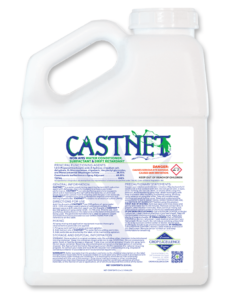 Therefore, care must be taken in treating crops during periods when plants are subjected to drought stress, high temperatures and high humidity. 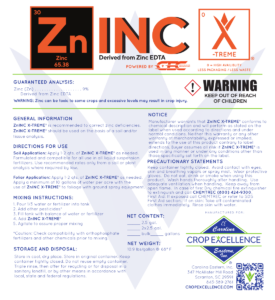 REFER TO PESTICIDE LABEL FOR SPECIFIC CROP USE AND APPLICATION RATES. 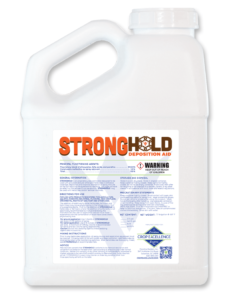 Generally, use 4 pints in 100 gallons of water (0.5% V/V). 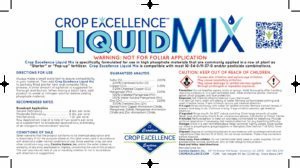 Do not exceed 1.0% by volume of the spray solution. 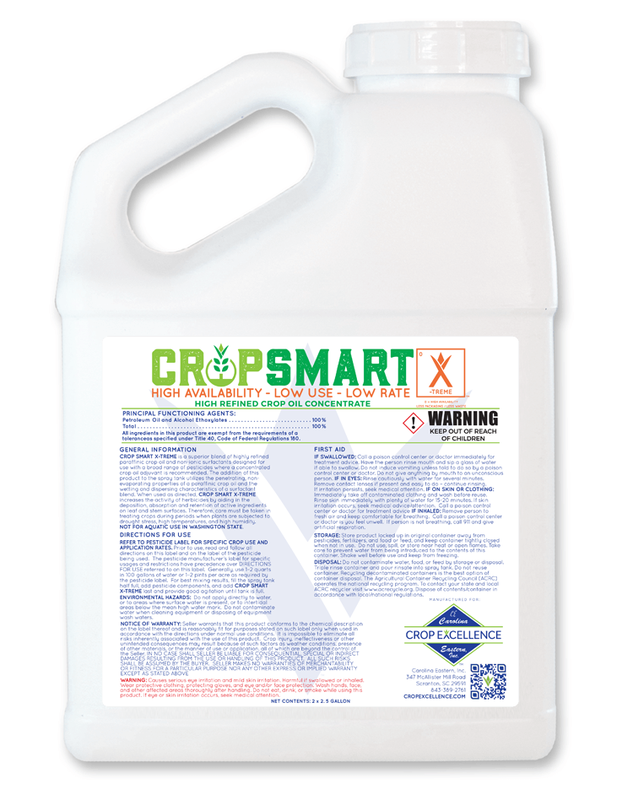 Always add CROP SMART X-TREME last to the spray mixture and provide good agitation. 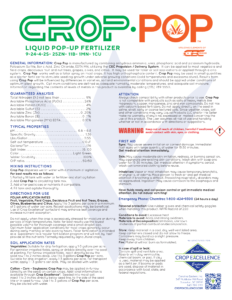 Prior to use, read and follow all directions on this label and on the label of the pesticide being used. 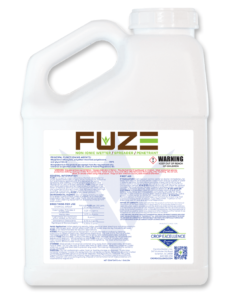 The pesticide manufacturer’s label for specific usages and restrictions have precedence.